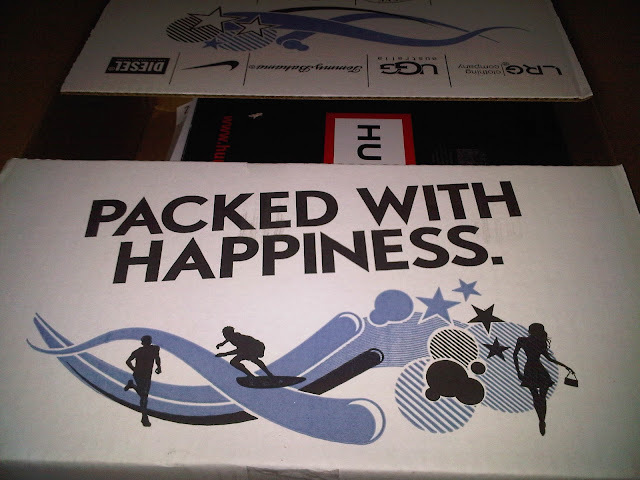 I ordered something from Zappos last week. It was supposed to arrive Monday but the UPS guy must think I live in the ghetto and he didn't feel safe leaving it in our foyer, which is funny because he left something there that was four times more expensive than what I bought. Go figure. 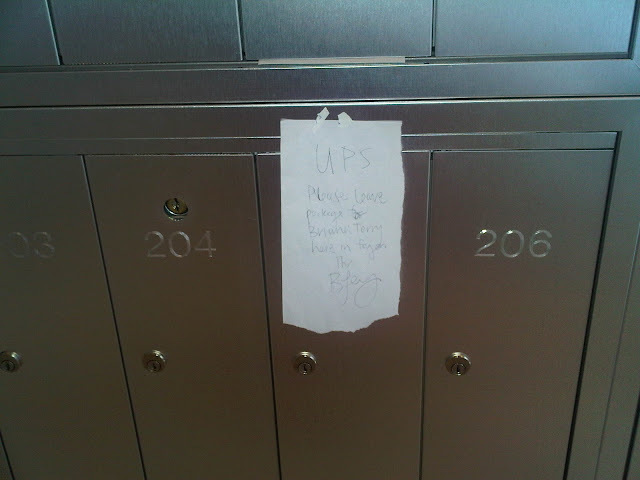 So this morning when I got home from work, I left the UPS guy a sweet little love note. And he must've gotten the hint because he left my package in the foyer. Thanks, buddy. If been coveting these Hunter boots for a loooooong time. Now I have some. I'm still not 100% certain I am going to keep them. I need to wait till I'm not sleep-deprived and not post-night shift haggard before I make that decision. 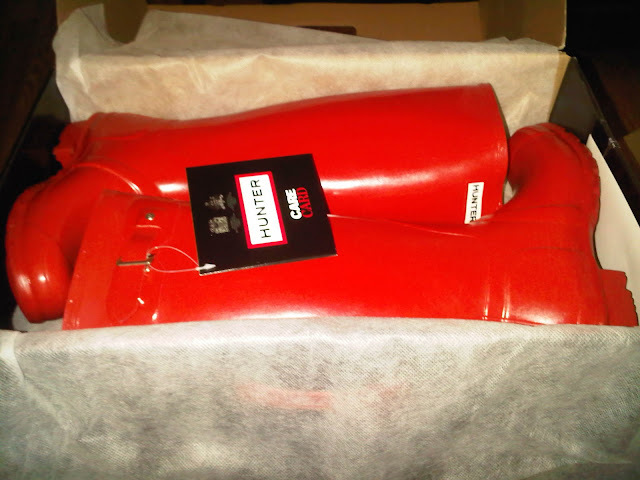 One thing is for certain... rain boots are a MUST HAVE with this wacky Boston weather! What do YOU think about the red? Too much? Perfect for a rainy day? Oooo, girl, they are bright. But I see nothing wrong with that! Have you seen all the zany patterns/colors out there? I agree with the weather here in Boston. So I have to ask you, do they have them in pink or neon lime green? I am serious! They DO have them in pink, but not neon green. There are some crazy patterned ones out there for sure. I figured for a rainy day, the red would just lift my spirits! Let's hope it works!